Hidalgo County District Attorney Ricardo Rodriguez gives a short speech at the Bowl For Kids fundraiser at Flamingo Bowl in McAllen on April 21, 2018. The event raised money for the Big Brothers Big Sisters organization. 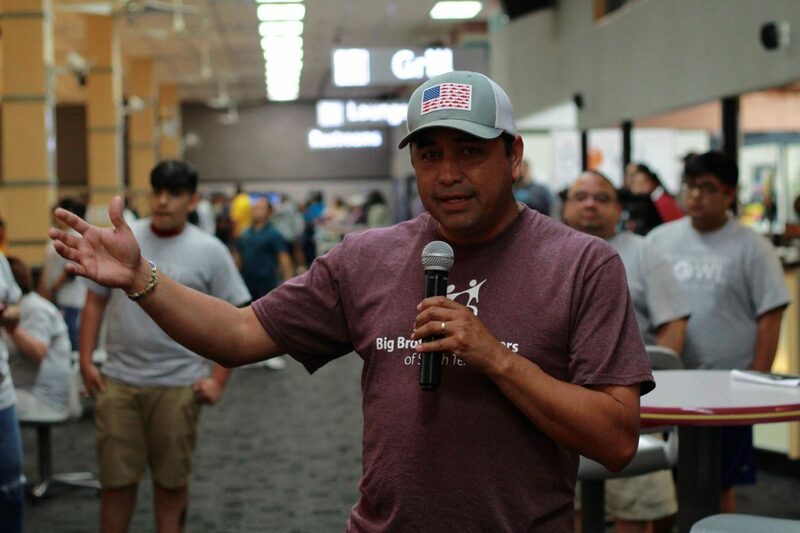 McALLEN — Offering guidance and direction is what Big Brothers Big Sisters is all about. While the concept has been around for a long time, the organization was formed in 1977. About 10 years ago, the group opened an office in San Antonio and now a branch has opened in McAllen. Located near the intersection of Nolana Avenue and 10th Street, BBBS occupies an office space in the building of Law Office of Francisco J. Rodriguez. The organization matches adult volunteers with youth ranging from 6 to 18 years of age and serves youth in Hidalgo County. The local branch director Kassandra Rodriguez said those who want to volunteer must go through an intensive process, such as a background check. 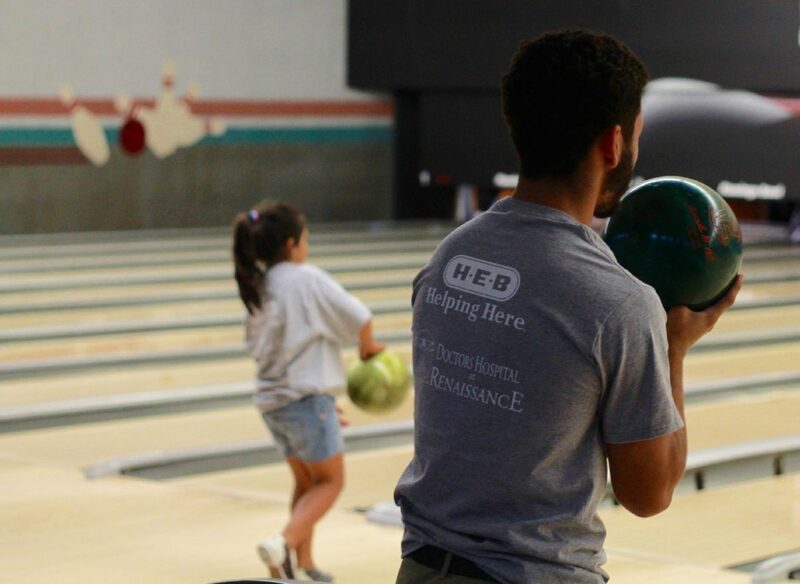 Matthew Jasso, 17, of Pharr, participants at the Bowl For Kids fundraiser at Flamingo Bowl in McAllen on April 21, 2018. The event raised money for the Big Brothers Big Sisters organization. Hidalgo County District Attorney Ricardo Rodriguez gets ready to toss a bowling ball at the Bowl For Kids fundraiser at Flamingo Bowl in McAllen on April 21, 2018. The event raised money for the Big Brothers Big Sisters organization. 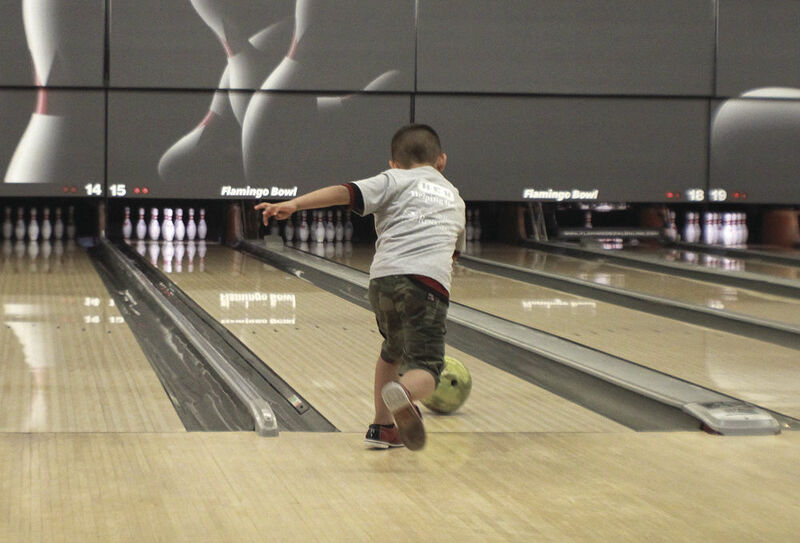 Eloy Venegas, 7, of McAllen, bowls at the Bowl For Kids fundraiser at Flamingo Bowl in McAllen on April 21, 2018. The event raised money for the Big Brothers Big Sisters organization. The organization is open to anyone. For example, parents can contact the office and request a mentor for their child and in a few short minutes the child is part of the program. They also focus on children who are in unstable relationships so they don’t fall into substance abuse or other dangerous situations. “We basically want to prevent them from bad behavior or making the wrong choices, so with this program, this is where the mentorship comes into play,” Rodriguez said. Big Brothers Big Sisters also offers a workplace mentoring program with local businesses and corporations in which company employees volunteer to speak at schools with students and then can be paired up together in the workplace. Local companies like Texas Regional Bank, IBC and American Electric Power (AEP) are involved with the program. During the process, BBBS interviews the participants through a questionnaire that asks about their childhood, interests and personality. Once the questionnaires are completed, volunteers are matched with children with similar backgrounds and interests for easier interaction. 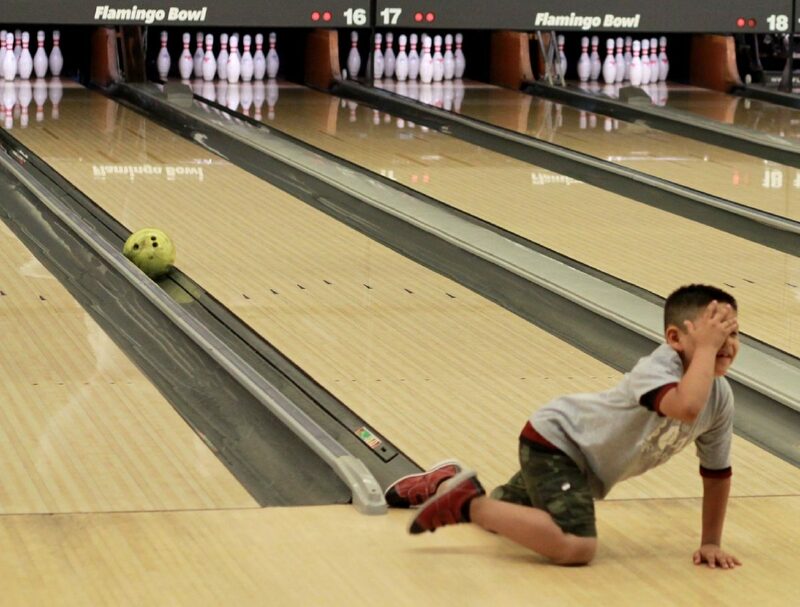 Recently, Big Brothers Big Sisters hosted their largest fundraiser of the year at Flamingo Bowl called Bowl for Kids’ Sake. The event attracted about 100 people who wore gray shirts bearing the group’s logo. 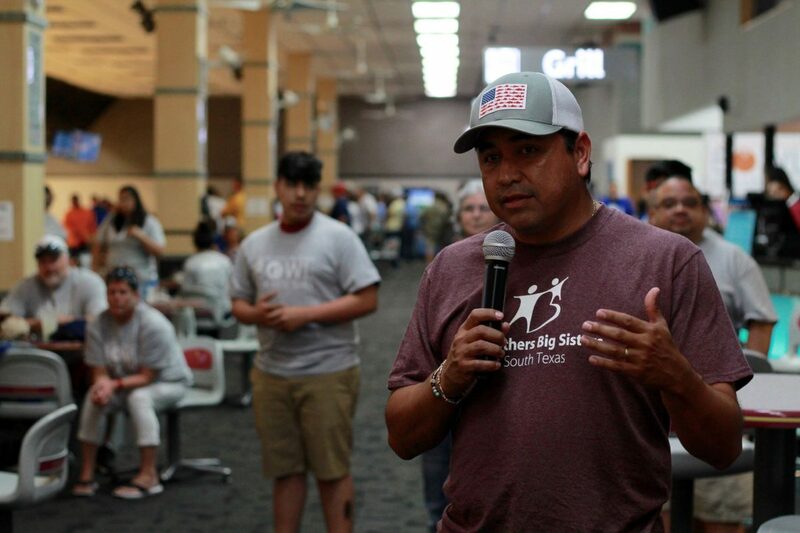 Pablo Tagle III, a Big Brother Big Sister board member and a former big brother, has been involved in the program since 2014 when he began mentoring a teenager for two years. “I have always been involved in different nonprofits, but at the time I was trying to find a way to make a direct impact on someone’s life and I feel it is my mission and purpose in life,” Tagle said, noting that many of the program’s young participants face big challenges in their lives without mentors. 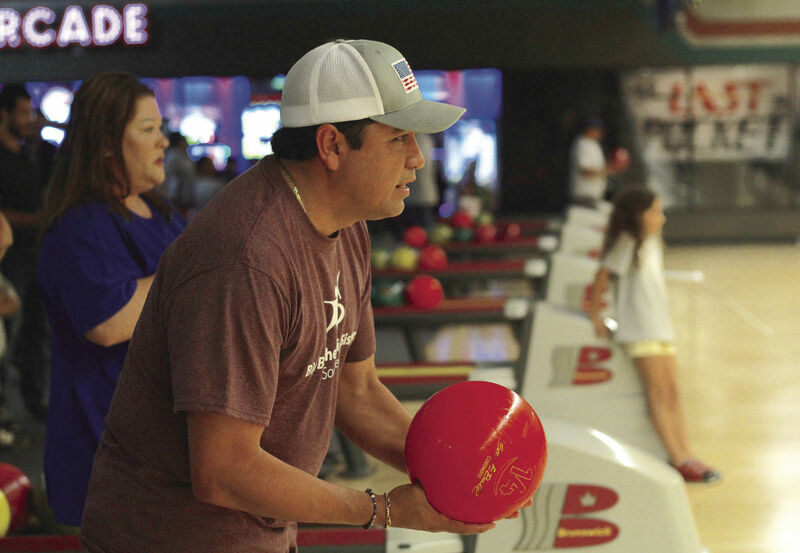 Hidalgo County Criminal District Attorney Ricardo Rodriguez was the special guest and first bowler to kick off the annual event and told the audience that BBBS is God’s work. He praised the program for filling in for what they are lacking either at home, school or through their friends. For more information on Big Brothers Big Sisters of the Rio Grande Valley, visit www.bigmentor.org or call their office at (956) 630-9898.